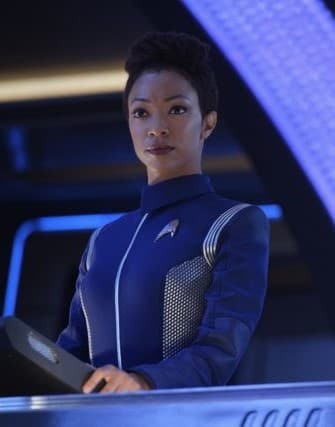 On Star Trek: Discovery Season 2 Episode 2, Science Specialist Burnham (Sonequa Martin-Green) awaits the next development. 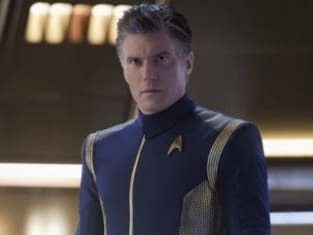 Star Trek: Discovery Season 2 Episode 2: "New Eden"
Astromycology has taught me that nothing is ever truly gone. Fungi are the universe's recyclers. This is how termination begins creation. It's why life is eternal. Burnham: In order to guide us through the mycelial network, Commander Stamets injected himself with tardigrade DNA, a violation of Starfleet's ban on genetic manipulation. Saru: They were willing to overlook this during the war however. Saru: I suppose you had to be there. Permalink: I suppose you had to be there.